Australia-style Rock Cooking is the newest phenomenon in the culinary world and Black Rock Bar and Grill is the only restaurant in Livingston County and first in Michigan to offer it. 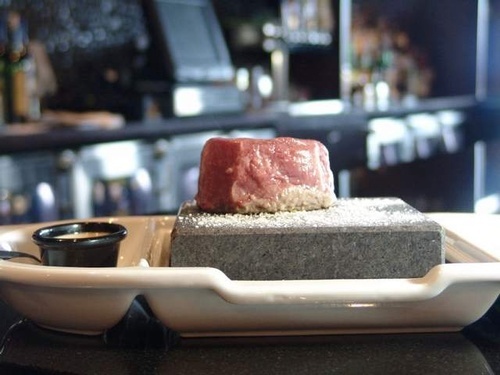 Enjoy a variety of Certified Angus Beef (CAB) steaks or seafood cooked on a hot volcanic rock right at your table (items may also be fully prepared by our chef if you prefer). 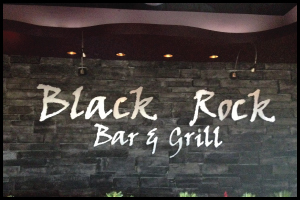 Black Rock also offers a full line of menu items to please every member of your group. Choose from a variety of seafood and chicken dishes, gourmet foot-long hot dogs, Certified Angus Beef burgers, piled high sandwiches, fresh salads, homemade soups and more. Black Rock Bar and Grill is also allergy friendly. 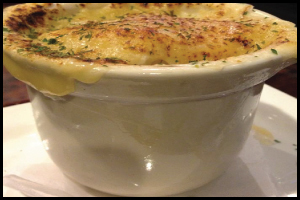 Black Rock offers Gluten, Peanut and Dairy free menu options and separate fryers are used to prepare their gluten and allergy free foods. At the NW corner of Apopka-Vineland and Conroy-Windermere.